Only one thing remains unchanged since GIANTS Netball duo Kim Green and Caitlin Bassett first combined on a netball court more than a decade ago. “Bass is a bit loose off the court. That hasn’t changed since we played Australian under-21s,” Green said of the quirky Australian captain whose passion for all types of animals has become her trademark. 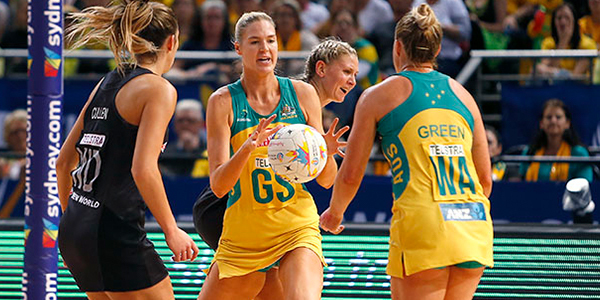 Green and Bassett have been reunited as an attacking force for the first time since they were part of the Diamonds team that lifted the 2015 Netball World Cup. While this is their first partnership at club level, they have formed a combination at two World Cups and were members of the gold medal-winning team at the 2014 Commonwealth Games. Bassett’s fractured arm has so far prevented the good mates from resuming their on-court union but Green is determined to “learn the skill of finding Bass again”. The midcourter expects that will require some attention after noting Bassett’s dramatic improvement over the past three years. “She’s different. To be honest, I think the last few years she’s strengthened her game – the double plays, and she’s on the move more,” Green said. “She’s a much better shooter and it’s because she’s open to trialling new things. I see her talking to Julie Fitzgerald at training and Bass is always willing to learn. Green has played almost exclusively as a wing attack in recent years but is in the mix to replace Serena Guthrie who has returned to England’s Superleague to play for Team Bath. Fitzgerald will have a plan around how she intends to replace the star centre but she has not yet publicly revealed her decision. Green, Jamie-Lee Price and Amy Parmenter are the contenders for the key midcourt role. “Whoever ends up there has big shoes to fill. There’s no shying away from that,” Green said. “But the reality is it’s a great opportunity for some one because there has been an opening there for a while. “Amy Parmenter has all the attributes of being a very good WD. Now she has the opportunity to see if she can cut it because she’s been banging on the door for three years. 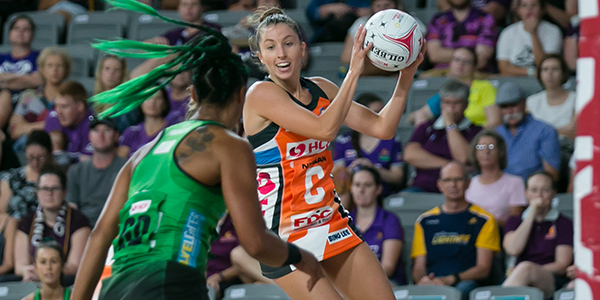 GIANTS Netball will kick-off the 2019 season with a massive NSW derby against the Swifts. Get your tickets for the clash, and all the other round one games, here.